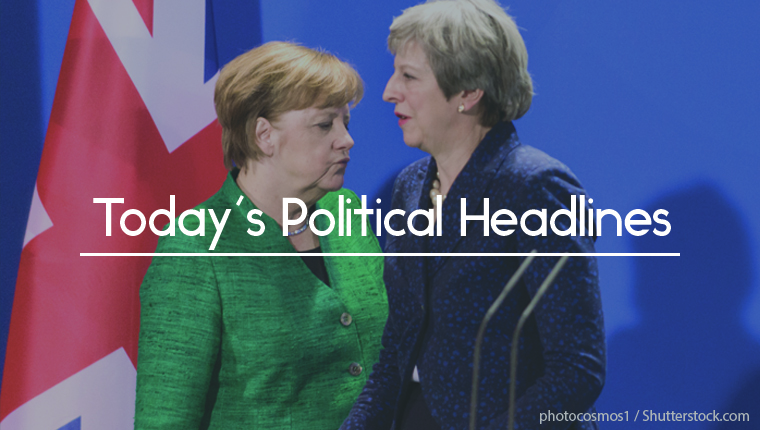 Today’s political headlines include May preparing for a historic defeat, Merkel offering May more help, Corbyn could call a vote of no confidence this evening and the MP who has delayed giving birth in order to vote. The Times reports that Theresa May is braced for what it calls a ‘historic defeat’ when the Commons votes on her Brexit deal today. Yesterday she called on backbench Conservatives and the DUP to give it a ‘second look’ after assurances from the European Union were released, but just half of her MPs turned up to listen to her appeals on the evening before the vote. 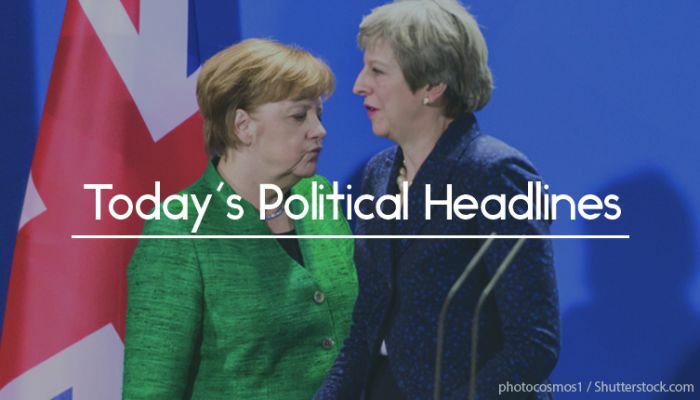 The Sun claims that Theresa May was offered ‘last-minute help’ by German Chancellor Angela Merkel yesterday, and will tell the cabinet when it discusses ‘Plan B’ this morning that the EU could make more concessions after the Commons rejects the deal this evening, including persuading Irish Taoiseach Leo Varadkar to accept an end-date for the backstop. According to The Guardian, Jeremy Corbyn could call for a vote of no confidence as soon as this evening unless May makes ‘major unexpected concessions’. A source told the paper that if this vote were lost, it would not mean that Labour would automatically back a second referendum. The BBC reports that Labour MP Tulip Siddiq has delayed giving birth via caesarean section so that she can vote against the deal today. Harriet Harman said that Siddiq ‘should not have to chose’ between giving birth and voting, while Speaker John Bercow described the lack of proxy voting as ‘extremely regrettable’ and delays in implementing it ‘frankly lamentable’. The Financial Times claims that the likelihood of ‘political paralysis’ has increased after senior MPs rejected a proposal put forward by Nick Boles to use the Commons Liaison Committee to agree an alternative Brexit plan. Pete Wishart, a member of the committee, called it a ‘daft suggestion’. The paper adds that an amendment by Tory backbencher Andrew Murrison will propose a December 2021 end-date for the backstop, and that the Government is considering supporting it. The Guardian says that an obscure pro-Brexit group, Britain’s Future, has spent £31,000 on more than 200 Facebook adverts in the last seven days, but that despite changes by Facebook to improve transparency, there is no evidence to show who is paying for the advertising. The Daily Mirror claims that Theresa May has put her RAF plane on standby in case she needs to fly to Brussels to seek immediate concessions in the aftermath of her deal being rejected in tonight’s vote. The Times reveals that the Government has awarded £132m to the International Planned Parenthood Foundation, despite a senior official being under investigation for harassment and misconduct. Penny Mordaunt, the International Development Secretary, had promised not to fund charities which did not meet ‘high standards on safeguarding and protection’. Don’t miss the result, get Vuelio Political Services.